will be happy to help you save with Unica Insurance! 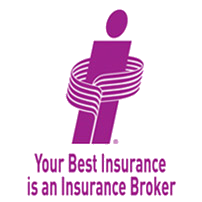 Unica Insurance is one of the largest property and casualty insurance companies in Canada. Founded in 1955, and with its head office in Mississauga, Ontario, it is dependably Canadian. A subsidiary of La Capitale General Insurance, based out of Quebec, the company offers innovative insurance coverage for home, auto, and business insurance through a network of professional insurance brokers across Ontario. The company firmly believes in safeguarding your hard earned assets, and they can help you do this through their LIVEasy and PLAYEasy insurance solutions. The Advantages Of Unica Insurance – Why Choose Unica? Diverse insurance products : Unica offers a wide range of home, auto, business, and specialized insurance products. 24/7 emergency claims service : Unica is ready to help whenever you need assistance. A commitment to excellence : Unica stands behind their Canadian brand and is dedicated to keeping Canada at the top of the insurance industry worldwide. People first focus : Unica operates on these values: integrity and transparency, customer-centric mindset, company sustainability, social involvement and responsibility. They are active in the community : Unica participates in fundraising campaigns in support of the Mississauga Food Bank and is a proud supporter of the Canadian Cancer Society. Promote environmentally friendly behaviours : Unica is green focused. Their head office is LEED (Leadership in Energy and Environmental Design) certified, and they have a partnership with The Car Pooling Network. LIVEasy : An innovative insurance program designed for busy and active professionals. It’s a suite of comprehensive car and home insurance products with flexible coverage options. Want to see what they can offer you? Call us toll-free at 1-855-550-5515 and speak with a ThinkInsure broker to get a Unica insurance quote for home, auto, or business insurance coverage. Unica offers insurance coverage and policies in three areas: Home, car, and business. Get a Unica Home Insurance Quote with ThinkInsure! Get a Unica Car Insurance Quote with ThinkInsure! Get a Unica Business Insurance Quote with ThinkInsure! Each one of these policies is specifically designed to give you peace of mind and give you the insurance coverage you need to enjoy your passion, whatever that may be. Looking to save money on your insurance rates? Get a Unica insurance quote today with ThinkInsure. Contact us today – 1-855-550-5515.